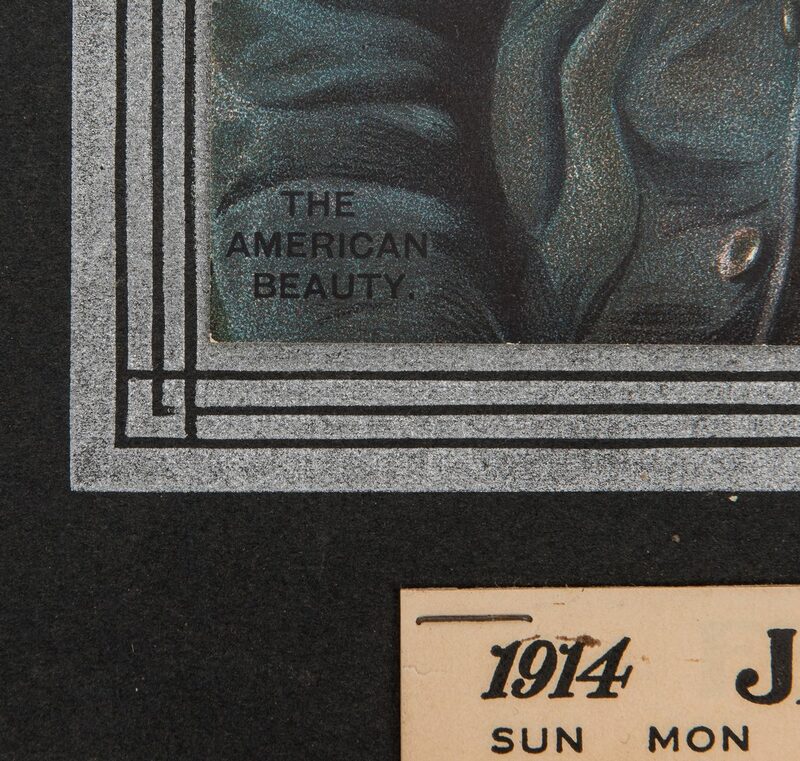 Fourteen (14) Black Americana items, including 1914 advertising calendar, booklet, and photographs. 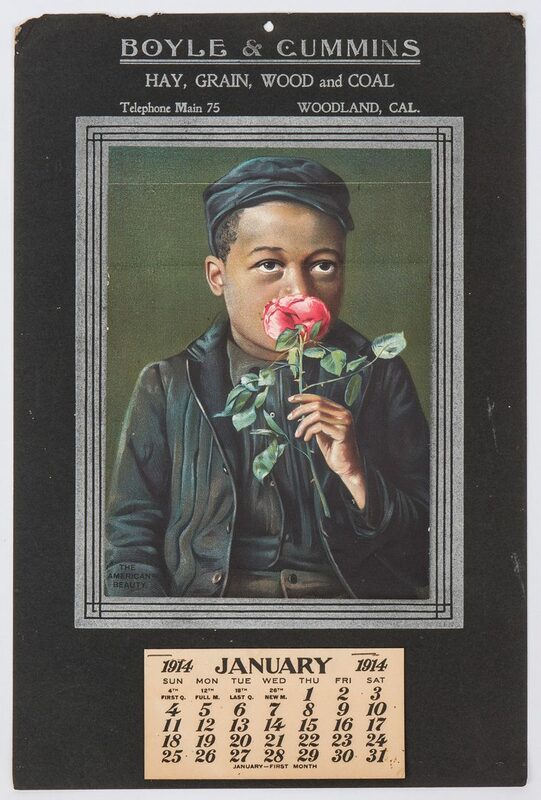 1st item: Boyle & Cummins, Woodland, California 1914 wall calendar with a chromolithographic image titled "The American Beauty" depicting an African-American male child in early 20th century clothing inhaling the scent of a large red rose. Tear sheets for all twelve months stapled lower center. 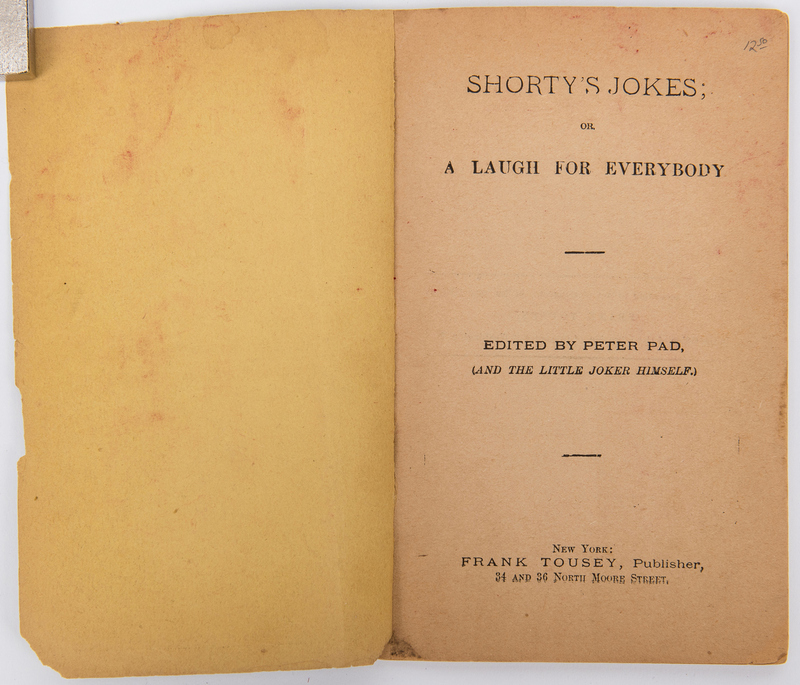 15 1/8" H x 10" W. 2nd item: Shorty's Jokes; or, A Laugh for Everybody, edited by Peter Pad, 1890. 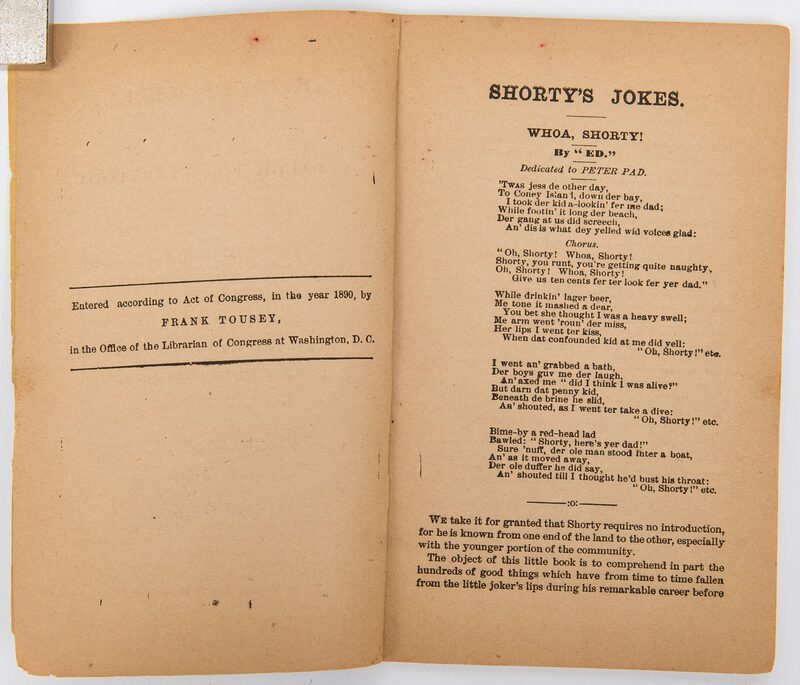 Published by Frank Tousey, New York. 18mo, yellow self wrappers, 61 double-sided pages with back advertisements. 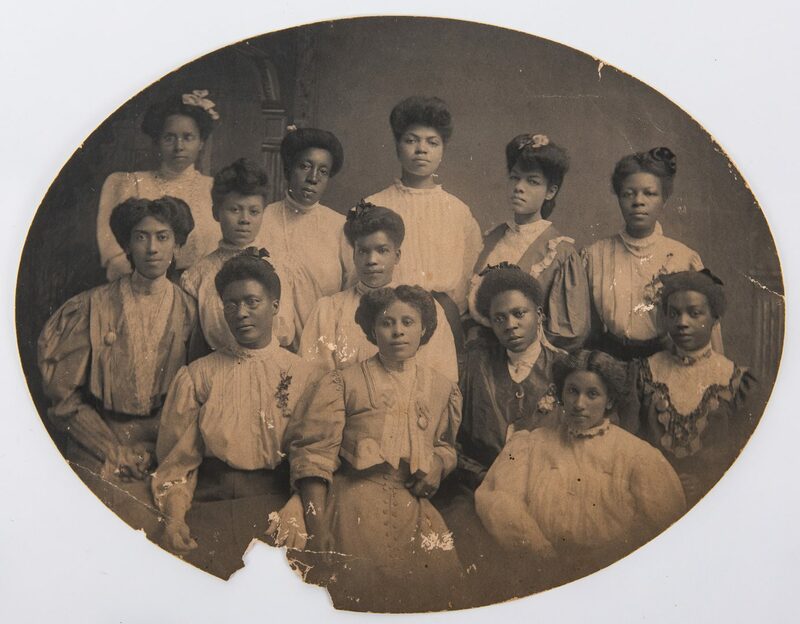 6 1/2" H x 4 1/4" W x 1/8" D. 3rd item: Photograph depicting a group of thirteen young African-American women in late 19th century dress, presumably part of a University or professional organization. 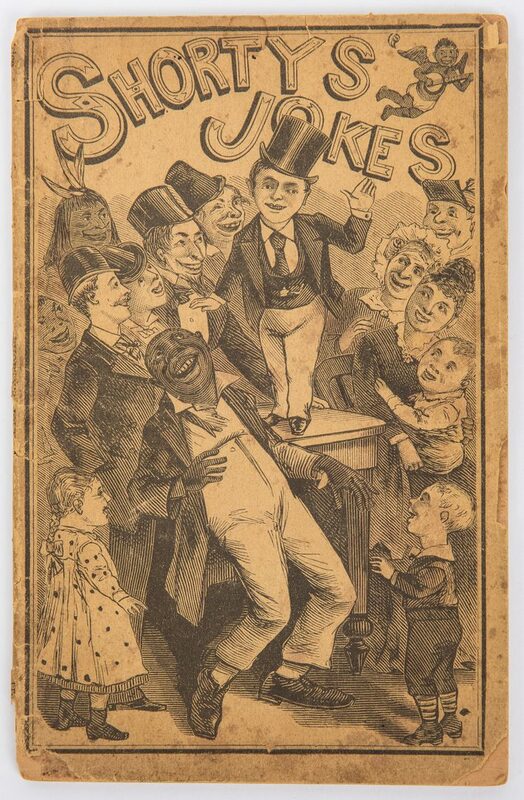 7 1/8" H x 9" W. 4th item: Cabinet card of a young African-American man in a late 19th century suit, holding a Civil War era Union kepi cap in his left hand. 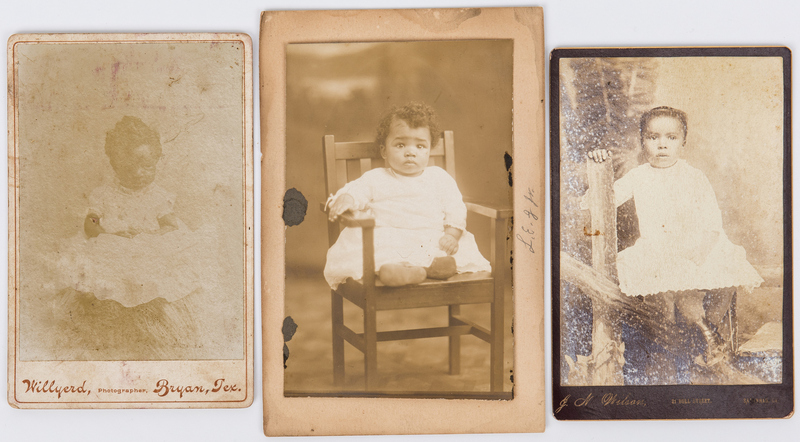 6 1/8" H x 4 3/4" W. 5th-8th items: Four (4) photograph images of African-American infants and children, including three (3) cabinet cards with studio marks for J.N. Wilson, Savannah, GA, Willyerd, Bryan, TX, and Markham. One (1) photograph mounted to card stock with pencil inscription reading "L.E.J Jr.", a printed image of the bust of a lady, en verso. 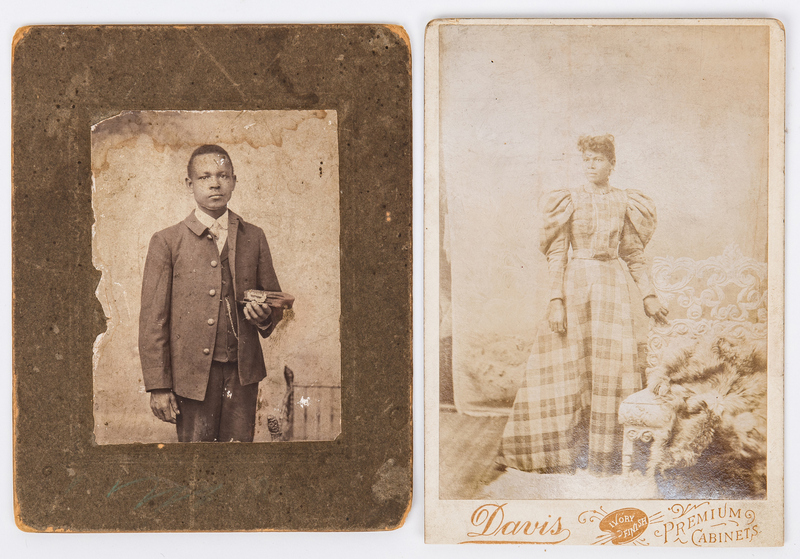 Ranging in size from 6 1/2" H x 4 3/8" W to 7 1/2" H x 5" W. 9th item: Gelatin silver print of a young African-American couple in early 20th century dress. Mounted to a brown card stock mat reading "Your Forever From". 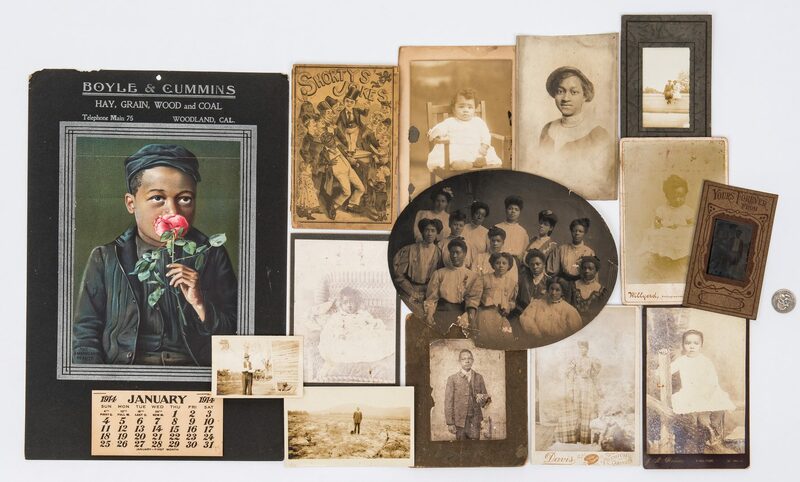 5 1/8" H x 3 1/8" W. 10th item: Cabinet card of a young African American woman in late 19th century dress, posing in a studio setting. Studio marks for David, Premium Cabinets. 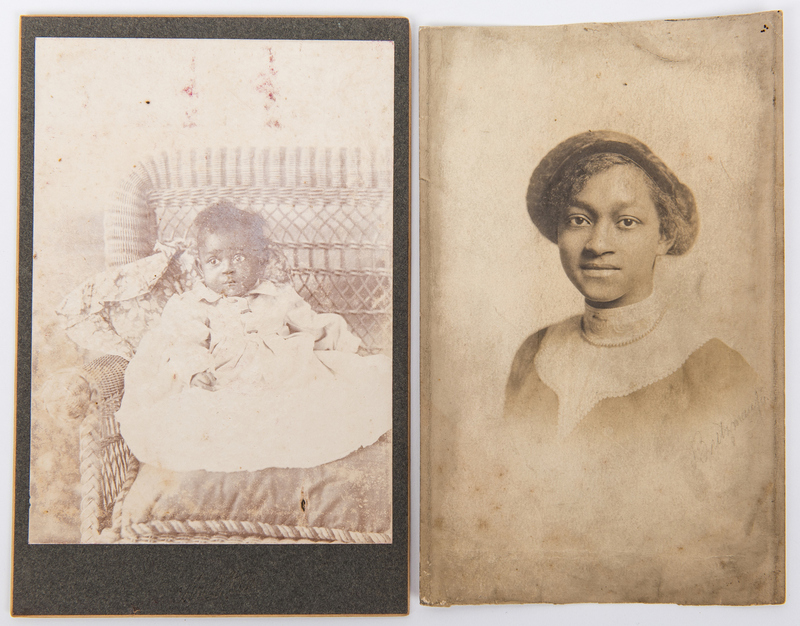 6 3/8" H x 4 3/8" W. 11th item: Photographic image of a young African American woman in early 20th century dress. Illegible signature, lower right. Pencil inscription reading "–June 1911" en verso. 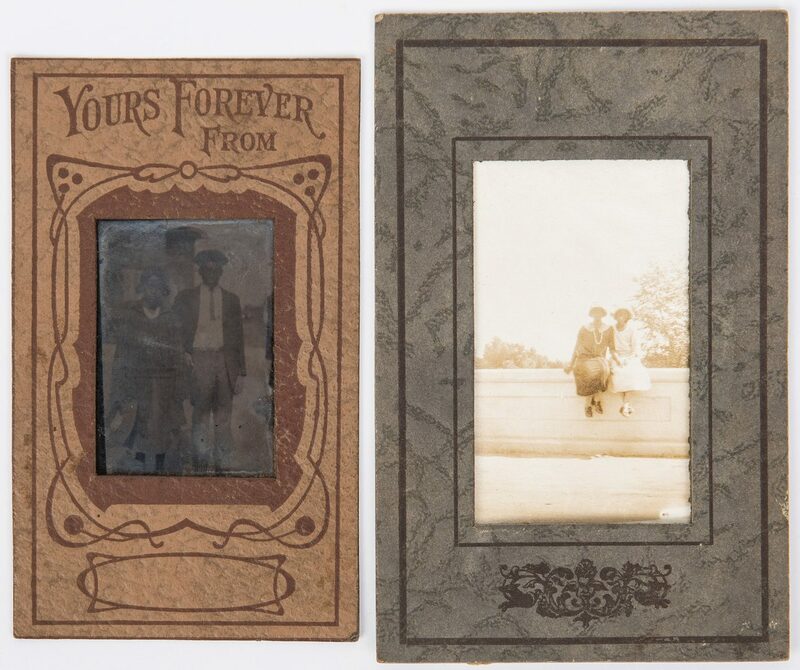 6 1/2" H x 4 1/8" W. 12th-14th items: Three (3) sepia toned photograph images of African-American men and woman in late 19th/early 20th century dress. Ranging in size from 2 5/8" H x 3 5/8" W to 5 5/8" H x 3 5/8" W. All items late 19th/early 29th century. CONDITION: All items in overall good condition with wear, tears, etc. to be expected from age. 1st item: Calendar with toning, wear but unused, all 12 months are present.